The first block below will take you to Debbie Roberts website. 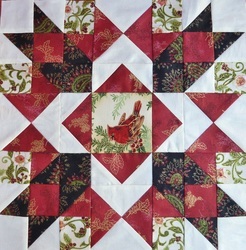 Start the slideshow with the second block. 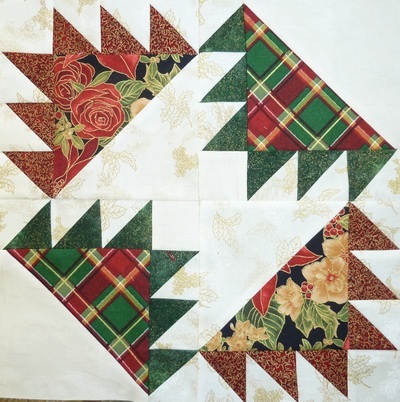 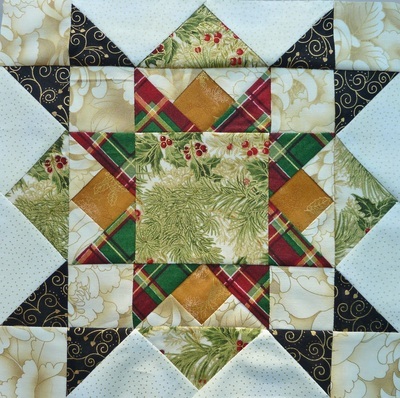 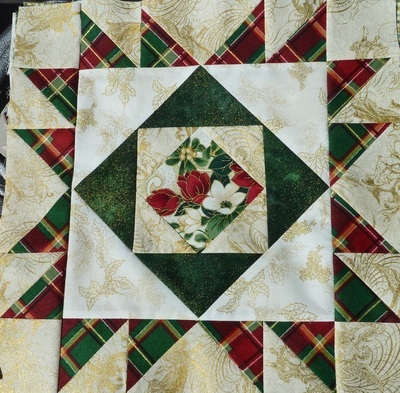 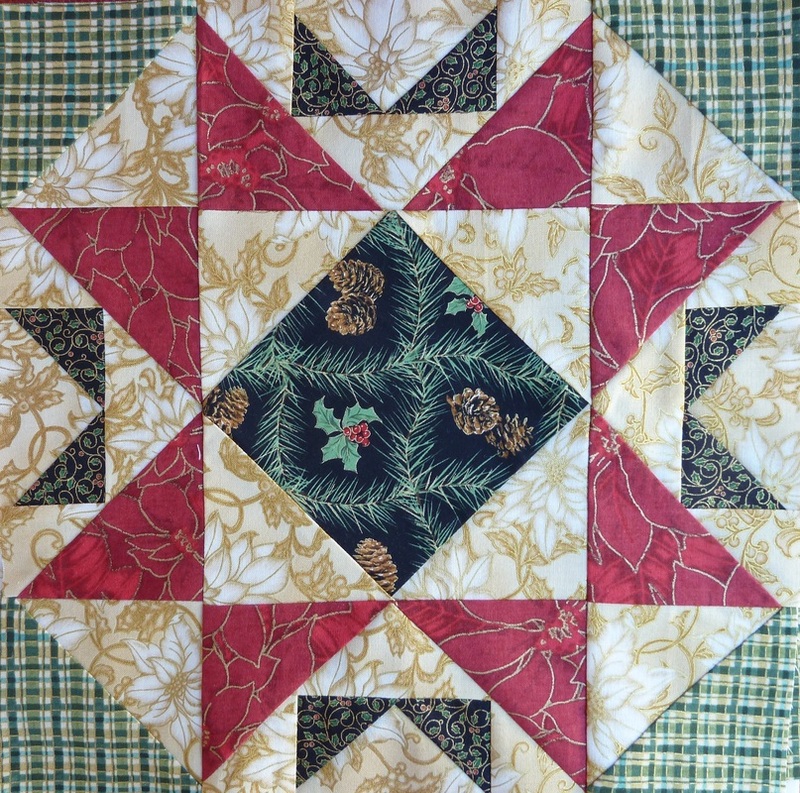 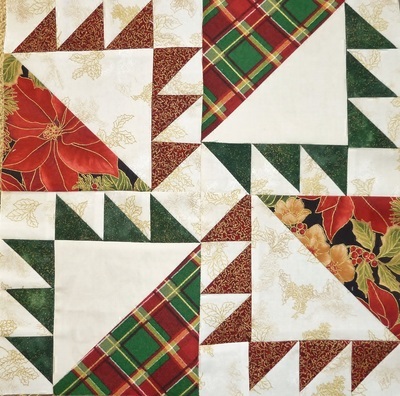 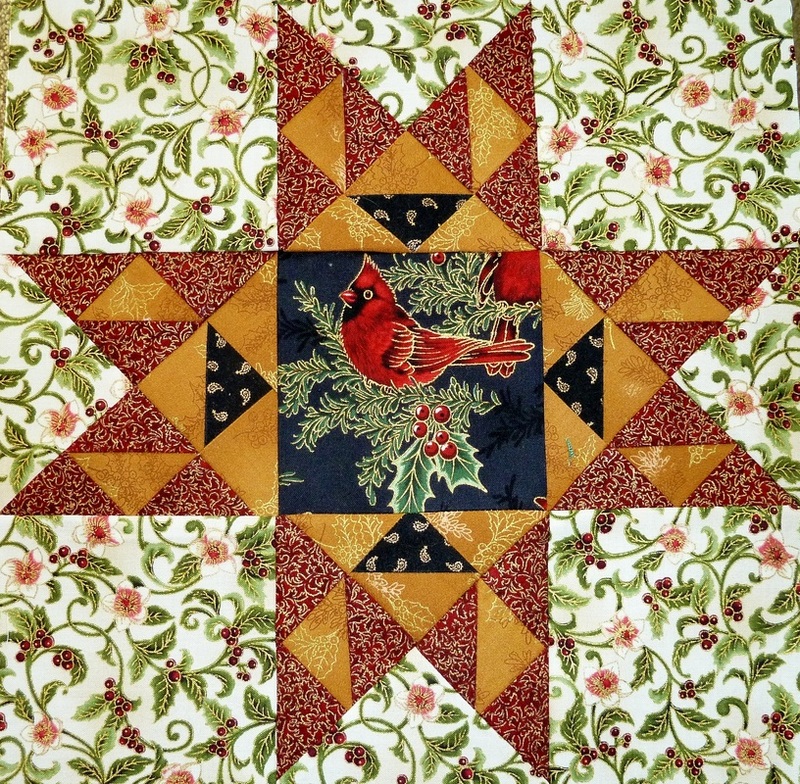 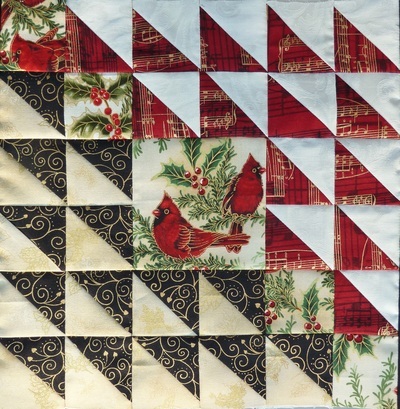 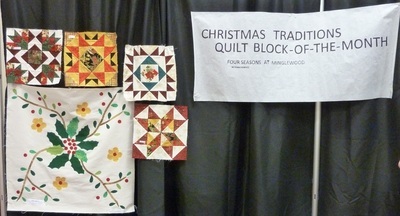 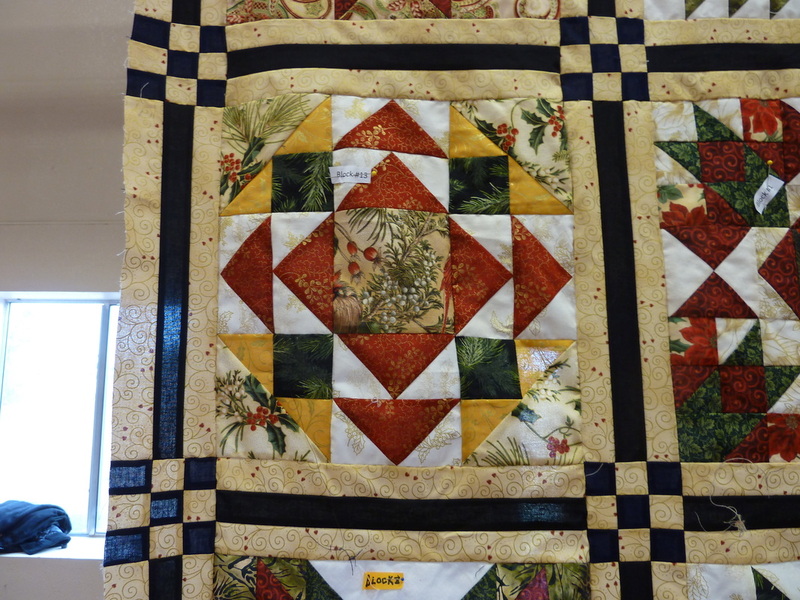 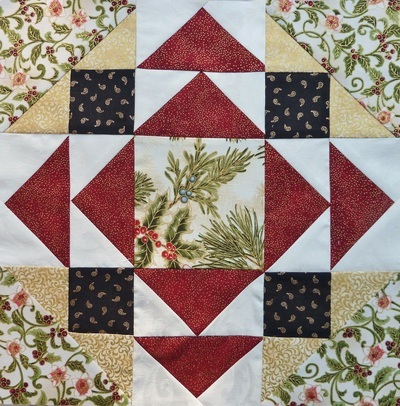 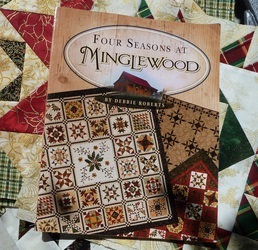 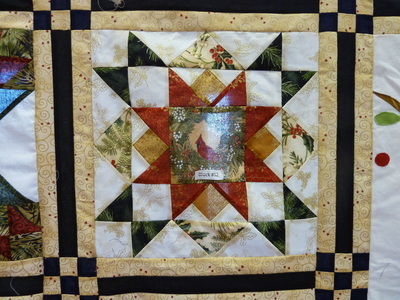 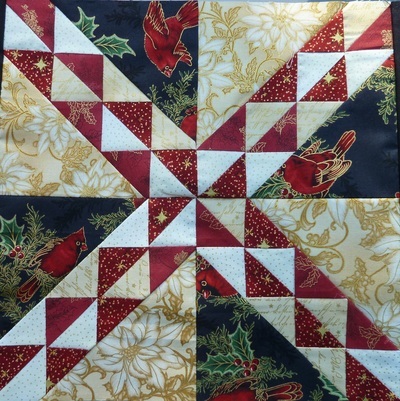 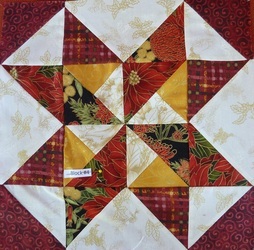 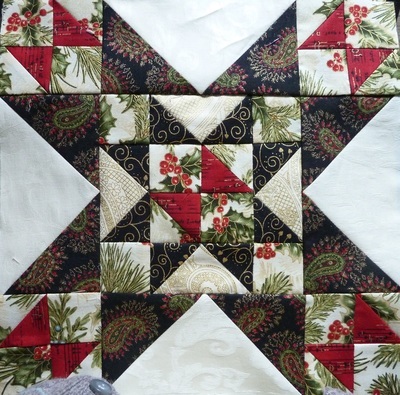 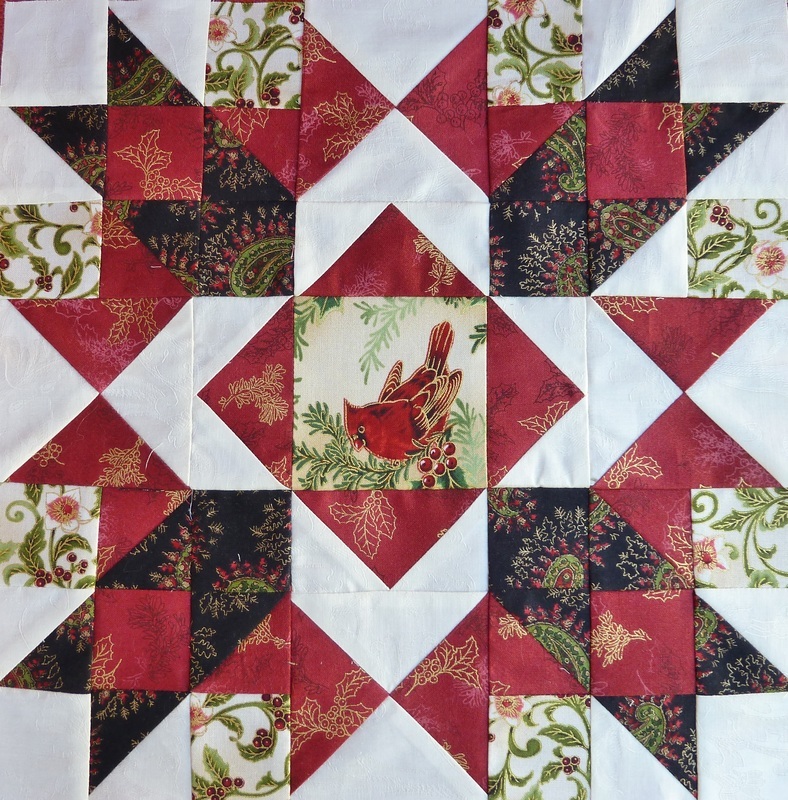 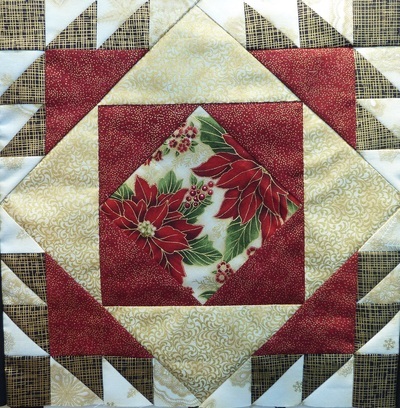 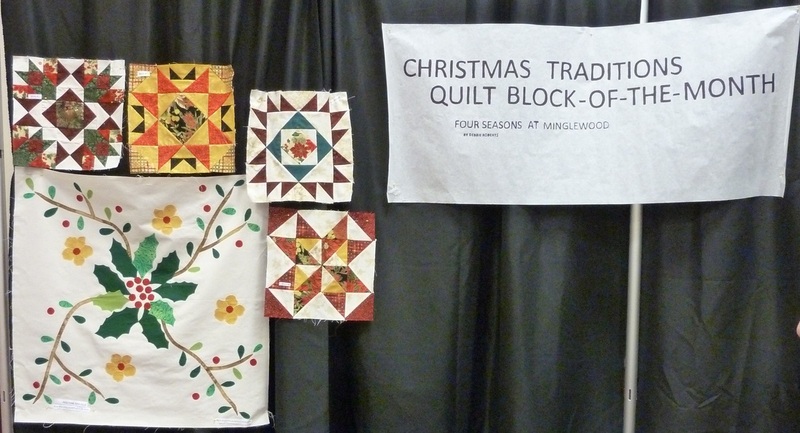 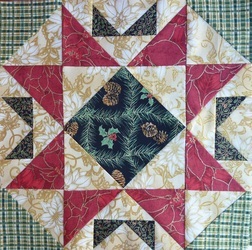 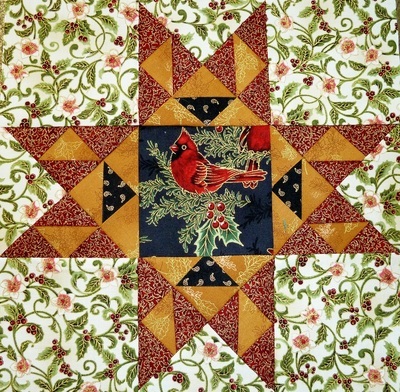 The Christmas Traditions quilt is from Four Seasons At Minglewood by Debbie Roberts. 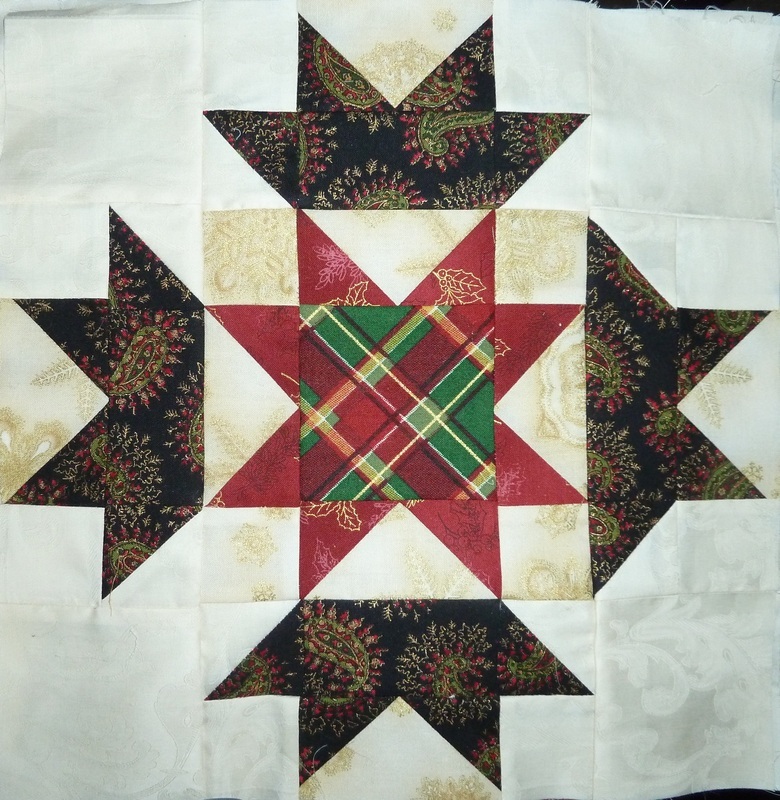 This project was inspired by a desire to keep our members more closely involved in a group project that would be fun for all and challenging as well. 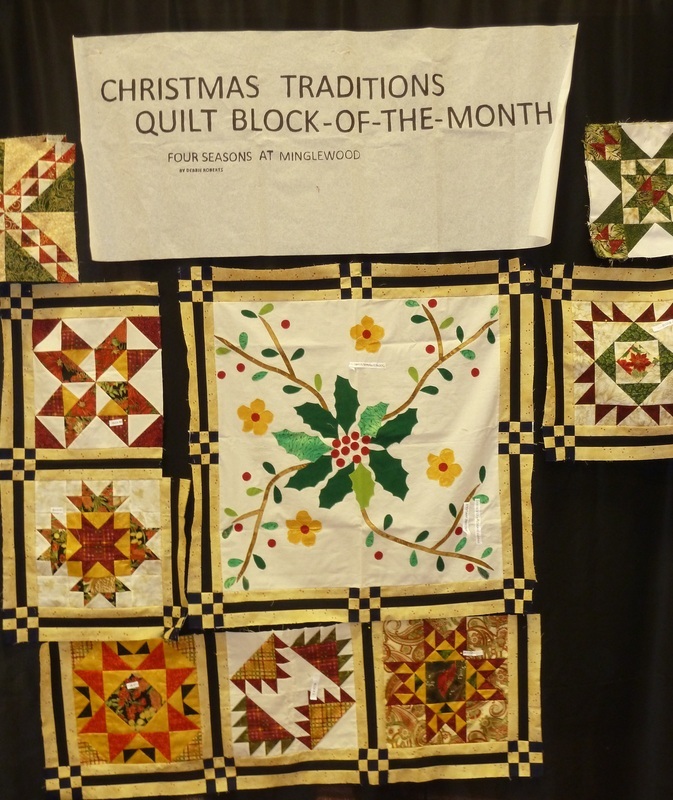 Imagine Joanne's delight when nineteen members signed on for the challenging and time-consuming project; fifteen months of blocks. Members are creating the monthly block in pairs; same pattern but the second one with a twist in fabric choice if desired. 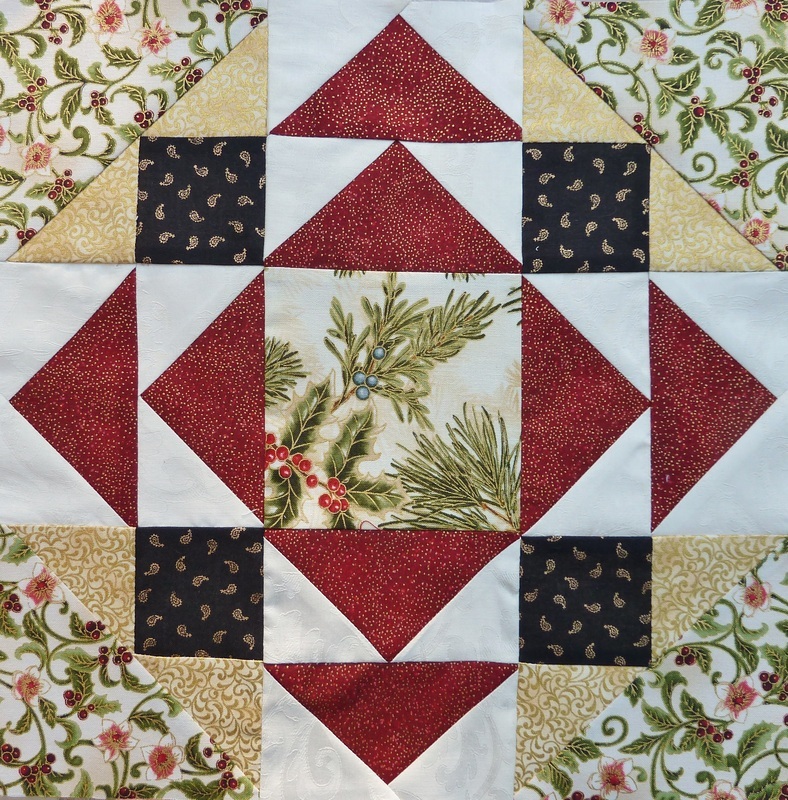 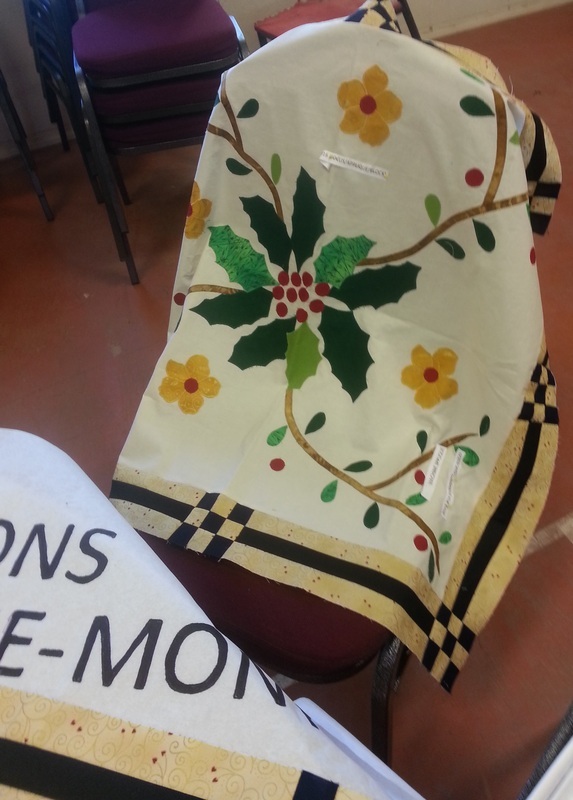 To add to the interest, there is one larger center block that is an applique; either machine or hand appliqued. 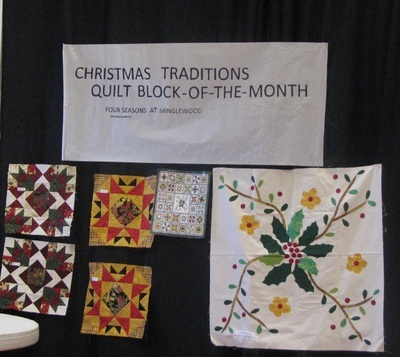 At each of our monthly meetings Joanne will present examples of each block to date plus the one for the next month. 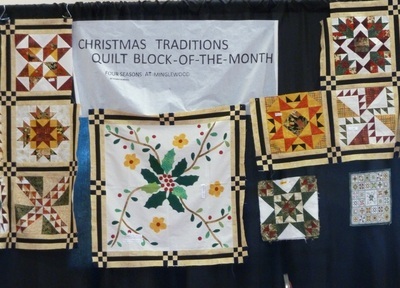 Members eagerly await to see the beautiful new month's block. Joanne also has copies available for each participating member of the next month's block along with any needed special instructions. It is emphasized that anyone having difficulties or questions contact Joanne or any one of the other members; there is always help just a phone call or email away. 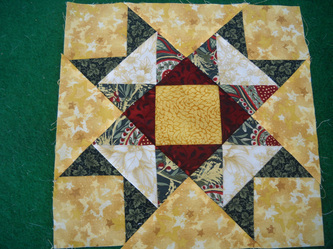 The excitement is building as we see our blocks become "real" and our stack growing. 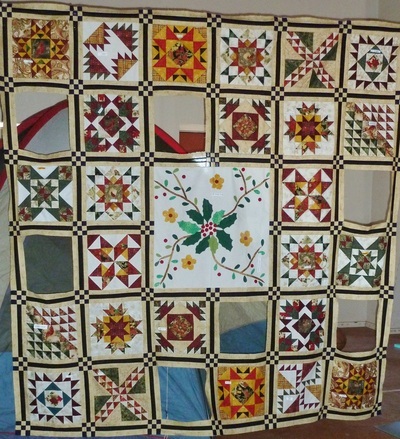 Just like the "little kid" in each one of us we just can hardly wait until we see all nineteen quilts completed! 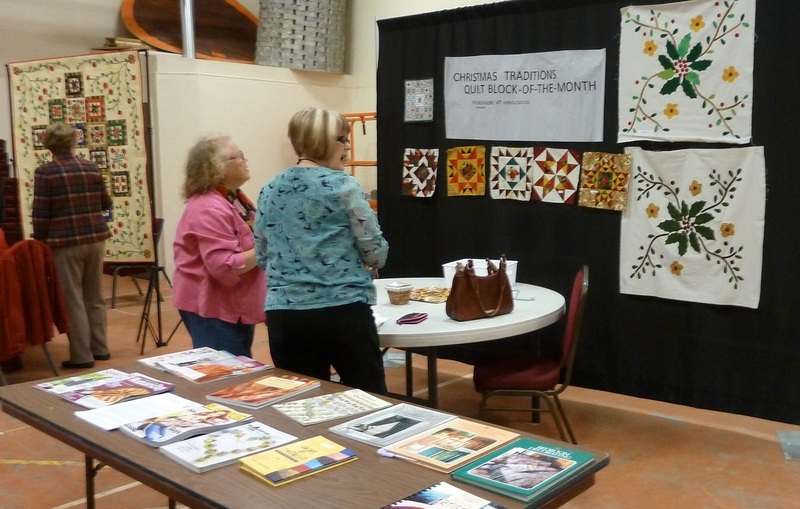 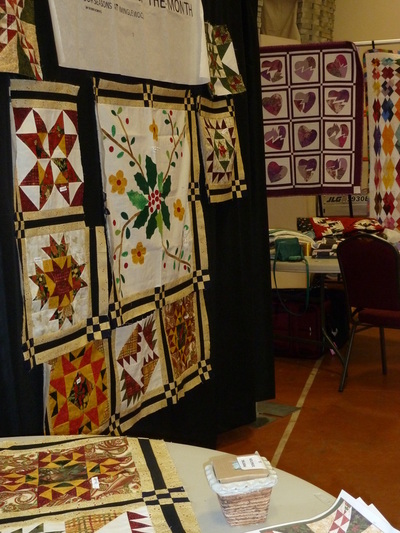 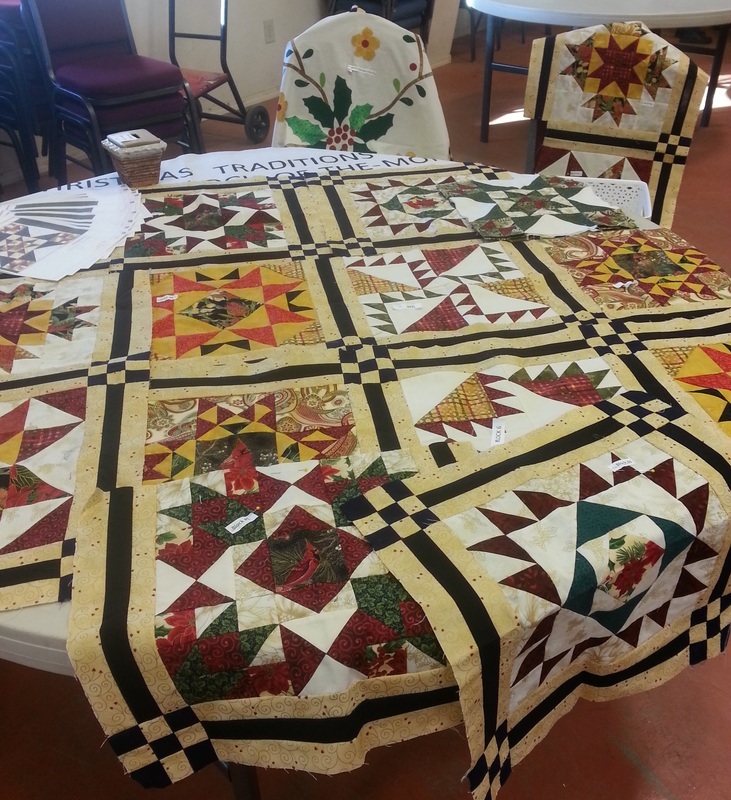 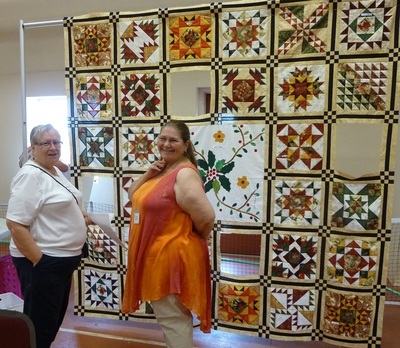 Our hope is to display the nineteen completed quilts at our 2014 quilt show; Fall Harvest of Quilts. Look ladies; only blocks #14 and #15 to go! 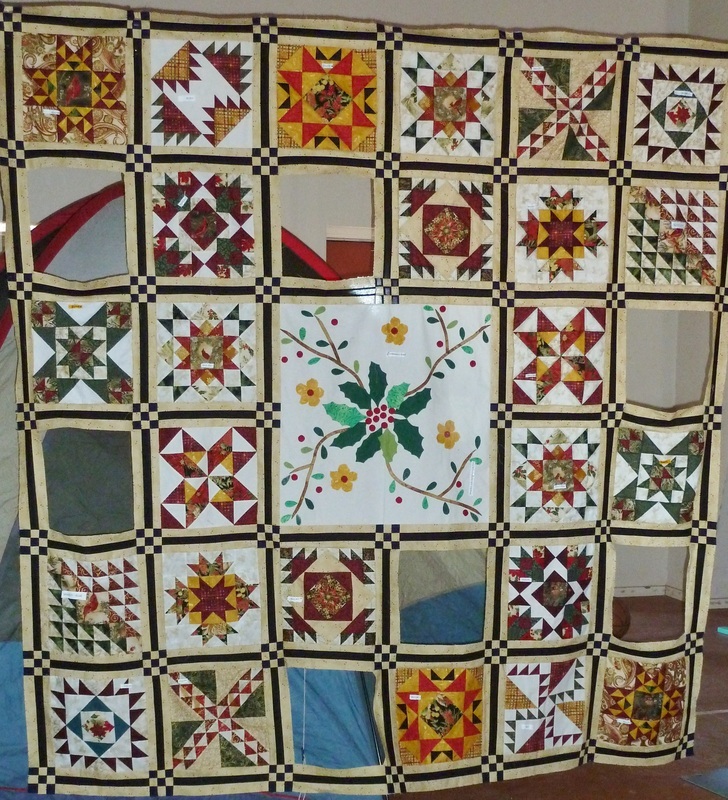 We are almost there and how beautiful is this. Notice Joanne has added a border now.